Take your digiscoping to the next level with Phone Skope! What is digiscoping and what can you do with it? Digiscoping is the simple art of taking a picture with a camera through an optic. A Phone Skope is an adapter that gives you the ability to take a picture with your smartphone through binoculars, spotting scopes, telescopes, microscopes, and more! 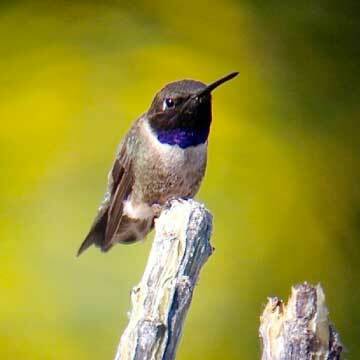 The Phone Skope is a very easy-to-use digiscoping adapter that is also affordable. It doesn't matter if you are a birder or bird watcher, hunter, astronomer, or biologist, you can use a Phone Skope Smartphone Digiscoping Adapter to capture whatever you are seeing through your optic. 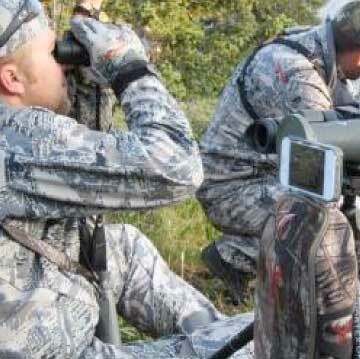 Hunters who are glassing for big bull Elk or world class Mule Deer are likely sitting behind a spotting scope or pair of binoculars mounted on a tripod. If you see a monster bull or Muley, you will want to capture an image or record a video to show your friends and family! Now you may want to wait to show them until after the season is over, but we'll leave that up to you to decide. Don't forget about the Whitetail hunters that hunt out of treestands in the east! Most White-tailed Deer hunters carry a pair of binoculars with them. Since most people carry their smartphones with them everywhere, it is so easy to capture memories in the field. 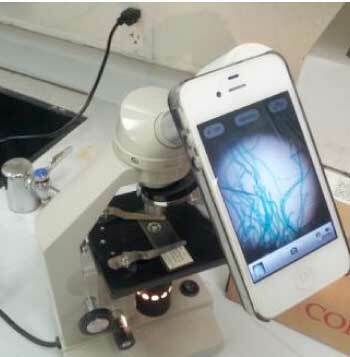 Biology students and microbiologists alike, can benefit greatly from using a Phone Skope Adapter while in Science Class or in the Lab. Whatever you are seeing through the microscope can be captured with your phone using a Phone Skope Smartphone Digiscoping Adapter. Birders and bird watchers primarily use binoculars for songbirds and backyard birding and spotting scopes for scanning through flocks of geese, waterfowl, shorebirds, and cranes. By attaching your phone to your binoculars or spotting scope using Phone Skope Adapter, you will be able to photograph or record video of rare birds at the beach, a vagrant hummingbird in your backyard, or the rare Whooping Crane in the gigantic flock of Sandhill Cranes. The Moon, Jupiter and its moons, and Saturn. You name it. 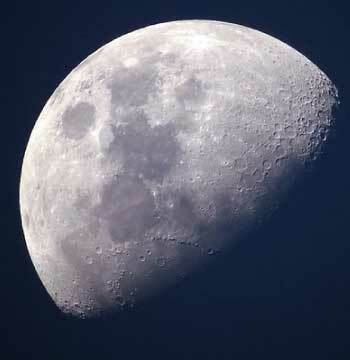 If you can see it through a telescope, you can attach your phone to a telescope and capture the image or video. These are just a few applications of the Phone Skope. We are sure there are many more out there!